Driven to perfection since 1968. 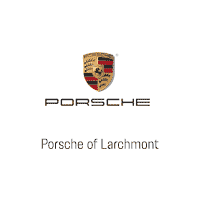 At Porsche Larchmont, we pride ourselves in the fulfillment of our customers. We strive to meet and exceed unparalleled levels of customer satisfaction. We’re a proud member of the Pepe Auto Group, who first opened doors in 1968, serving the Westchester luxury market and its surrounding areas. This year, the Pepe Auto Group is happy to celebrate 50 years of luxury automotive success. From all of us at Porsche Larchmont and the entire Pepe Auto Group, we thank you for your business and we look forward to the next 50 years. View our dedicated Staff. Search our online inventory of New Porsche and Pre-Owned Porsche models. Schedule your Porsche Service and order Porsche Parts and Accessories online. Ask about our Monthly Specials. We look forward to greeting you in our Showroom, located in Larchmont, New York. Greatest leasing experience working with Ross from Porsche of Larchmont. He provided world class service from beginning to end. Great dealer and dealership, would recommend to anyone. Check them out and ask for Ross!